Do you still believe that Rouhani is a Moderate in Iran? The Iranian regime's lobbyists will have big problems this time in their effort to make Rouhani look like a moderate. Only two days after his re-election 10 people was executed. In the first 5 days after the election, 18 people have been executed. Today the regime executed a wrestling champion In Kermanshahby the name of Hojatoallah Tedrow, that has been imprisoned for the last 10 years. During Rouhanis previous tenure, 3000 people were executed so if he is a moderate I do not wish to see what the hardliners will do. The lobbyists will try to convince the world leaders that the moderates have won the election and that will mean changes in the social structure of the country, this is false, first of all, the supreme leader, Khamenei have selected Rouhani to be president, Rouhani would never have won unless Khamenei agreed. Secondly, the election in Iran have long been that of a Sham since there are more votes in certain areas than there live people, it is also Rumours that the IRGC is using ID papers of deceased people to give extra votes for Rouhani. Students are forced to vote, they will not get their diplomas unless they have the stamp for their ID papers. The regime claims that vast numbers of Iranians abroad took place in this farce election, but only 6.5 % of eligible voters voted outside Iran. this statistic was provided by the Iranian minister of interior affairs wich suggests that the true number is even lower. 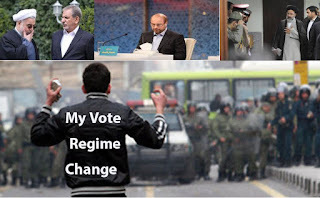 All these points show us that there is no such thing as a democratic election in Iran, it is not even an election, and there is no such thing as a moderate in the mullahs dictatorial regime. Both factions in the mullahs regime are hardliners but we are led to believe the lies of the regime's lobbyists. If we take a closer look at Rouhani we will see that he openly supported public executions in the early days after the regime hijacked the people's revolution in 1979. He has also a grim record during his first period of the presidency of executing 3000 people if we compare it with Ahmadinejad’s last period the number of executions was approximately 800 people. Do you still believe that Rouhani is a Moderate? Let me continue, under his leadership, the export of terrorism has escalated dramatically, and the IRGC have had their budget increased with billions, all the money released by the nuclear deal was given to the IRGC. All this while he has given full financial support to the Syrian Dictator Bashar al-Assad. Under his rule, the IRGC have had free hands to kill Syrian children. In Iraq, the IRGC have been torturing and executing innocent Sunni civilians under the pretext of war against ISIS. Trust me, the Iranian regime has no interest in fighting ISIS they are in fact supporting their terrorism. The Hezbollah in Lebanon is openly telling the world that they are 100% financed by the Iranian regime. And the Houthi terrorists in Yemen are receiving arms shipments from Iran to be used to kill Yemeni Children, women and old people. This is all evidence that Rouhani has never been nor will he ever be moderate, that is just a sham like the election. As Rouhani starts to serve his second term, the torture and abuse are increasing in prisons around Iran. The same can be said about executions. Immediately after holding the sham elections the clerical regime, the torture in prisons across the country resumed. During the first days after the re-election of Rouhani, 10 prisoners in the prisons of Tabriz, Zahedan, Ardebil, Kermanshah, Isfahan Central Prison in Karaj was hanged. During the sham election youth across Iran was protesting against the mullahs. To silence the protesters the regime does what they do best, they resorted to mass executions. The mullahs agents in the West will claim that the moderates have won the election, but there are no such thing as a moderate in the mullahs regime. According to statistic, the number of prisoners in Iranian prisons has increased 333% since the mullahs highjacked the people's revolution in 1979. In comparison, the general population has increased 66% in the same time span. The physical conditions in Iranian prisons can be compared with the medieval dungeons, the sanitary conditions are equally bad. The access to clean water is random and most of the time absent. The prison ward has many different torture methods to be used on the prisoners. The torture can take the form of, physical abuse like beating, electrification, denial of medical treatment or denial of clean water or food. Or they can take the form of psychological abuse like denial of visits from family members, arbitrary arrest of one or several family members to be held as hostages. And lies about your children, siblings or parents will be used if the prison authorities think that can break you down. What is just as disturbing as the horrific conditions in the prisons is the fact that most of the prisoners are not criminals but the political opposition, human rights activists, children's rights activists, teachers, journalists, lawyers, students, supporters of the PMOI and sometimes children who were in the wrong place at the wrong time. If you are seen supporting the opposition or the resistance (PMOI) you face execution. The prison security in Iranian prisons are behind the torture and abuse that are put upon the prisoners, they are also the head of drug cartels that controls the flow of drugs that are distributed in Iranian prisons. 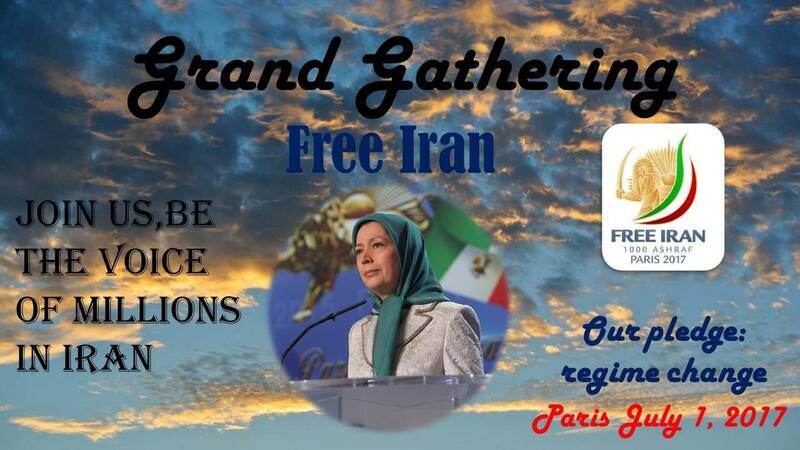 The Iranian resistances Grand Gathering in Paris July 1st, 2017. On July 1st, 2017 the Iranian resistance is once again inviting you to join us at the grand gathering that is taking place in Paris every year until we can all gather in freedom square in a free Tehran, Iran. The Iranian resistance is inviting world leading politicians to join us in the struggle for a free and democratic Iran. our goal with the gathering is to make the world aware of the fact that the resistance is fighting for freedom both inside Iran and abroad. Our President-elect Mrs. Maryam Rajavi has said: our roadmap to freedom is that we are ready for all the sacrifices of enduring suppression, incarceration, torture and executions; we are ready for whatever accusation, demonization and betrayal we may face; we are ready for countless tests and trials. Indeed, in the battle for freedom, we are ready for hundreds of other obstacles and challenges. The gathering is highlighting pressing issues that have had an impact on the Iranian fight for freedom. Our pledge is regime change. We are asking you to join us and be the voice of millions in Iran. the regime is trying to silence the people of Iran but that is futile, the Resistance will not stop before Iran is free, and the youth of Iran is telling the regime that they want regime change, Maryam Rajavi is their choice. Hope to see you in Paris on July 1st 2017, Welcome. There are no surprises after the sham elections In Iran on 19 may. Rouhani is now laughing behind our backs, there was no doubt who was going to win the (S)election. Mrs. Rajavi told us that the re-election of Rouhani only deepens the rift within the regime and that it intensifies the mullah’s crisis and power struggle. She also added that Khamenei’s failure to manipulate the Iran Election outcome, make the regime unable to confront dangerous crises, and that signals the regime’s terminal phase. The crisis in the religious fascist regime has increased and will continue to do so until its downfall. Mrs. Rajavi added that Rouhani neither wants nor is able to alter regime’s foundation and behavior. The Iranian youth are using any means necessary to show their discontent with the regime. The regime knows that the battle is lost and cut the internet in an attempt to silence the Iranian protesters, that was futile, Iranian boys and girls can not be silenced anymore, they are fed up with the regime and are willing to sacrifice their lives for a free Iran. The Iranian people want NCRI at the helm of Iran and are openly telling the regime that they are not wanted in Iran, all Iranian youth wish the mullahs to hell. The Iranian youth knows that all the lies from the mullahs about MEK/PMOI are untrue, and they are showing their support to NCRI and Maryam Rajavi by telling that they chose regime change and that they want Rajavi as president. If our goal is to save Iran and Iranian economy and environment, and people, the mullahs must go because, if we do not remove the mullahs they will slowly kill both the Iranian people and nature. The mullahs are exploiting the environment so that they can fill their pockets with dollars and build million dollar homes. All the while poor Iranians are living in graves. 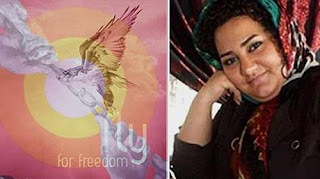 Under Rouhani’s rule, there has been an increase of suicide amongst young girls, this is because of all the prohibitions that are put upon them by the mullahs. The NCRI are the only opposition that has the strength to topple the mullahs, they are the only option to rule because they have the skills that are needed to pull Iran back on her feet. Maryam Rajavi is the only option as president that are not in the pocket of the mullahs. The ten point plan of the NCRI is the best solution for Iran, there is no other option that can take over after the mullahs are gone. The NCRI is a determent to abolish the death penalty, under Rouhani, 3000 people have been executed. the regime is harassing people with a different religion than shite Islam, the NCRI is firm on the subject that all religions are equal. Shut down illegal Iranian regime election sites in the U.S. This petition is important to sign, by doing that u will show your support to the Iranian people. “Iranian opposition groups have called on Iranians to boycott the upcoming May 19 presidential [s]elections, in which candidates previously selected by the regime are allowed to engage in a state-sponsored masquerade of democracy. 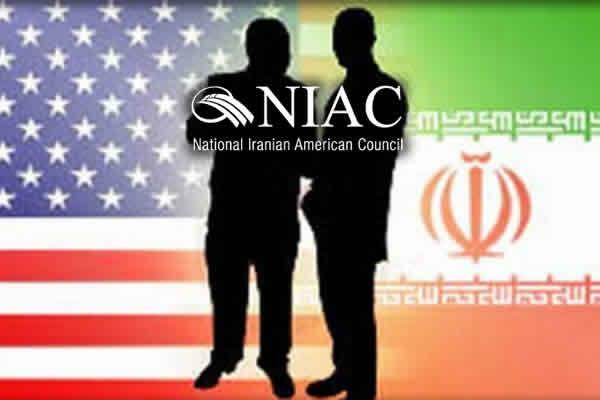 In an attempt to bolster its legitimacy, the Iranian regime has announced that it will open 56 polling places across the United States where Iranian citizens can vote, 17 of which have been identified. This is the petition that we are urging you to sign, this is a petition that is calling out the Iranian regime for their sham elections. This is a petition to the American administration to take a stand against the murderous mullahs of Iran and to stand on the right side of history. This is a petition to support the Iranian opposition's fight for freedom and democracy in Iran. The news of Canada's denial of polling stations in Canada was very good indeed, this because it is all a sham, make no mistake, there is no real election in Iran, it is an announcement of whom Khamenei has selected as the next president. Please help us stop this sham. 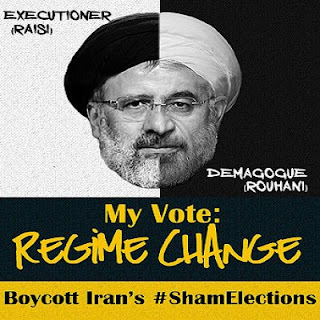 The outcome of the Iranian sham election makes no difference for ordinary people, but if you look at the candidates it is most likely that Rouhani, Raisi or Qalibaf will win. Jahangir will most likely drop out in favor of Rouhani. The two other candidates Mirsalim and Hashemitaba do not have a chance at winning. The MEK has put up posters around Tehran and most people do not wish to vote for any of the candidates they want a democratic election. But everyone knows that as long as the clerics rule Iran there will never e a democratic election. Both Rouhani and Jahangir asked for Khamenei’s permission in February 2017 and Rouhani stated that if Khamenei had someone else in mind he would drop out. JAMNA was created several months ago with the aim of creating unity among various Khamenei factions to support a single presidential candidate. The leaders of this faction are Nateq Nouri, Ali Larijani, Ali Motahari and a number of struggling clerics and clergy in Qom. The JAMNA coalition wants Raisi to become the next president, Khamenei approved his candidacy in March 2017. Qalibaf had initiated his campaign a year before the election. Qalibaf refused to register as a candidate after the IRGC and Khamenei supported Raisi. Khamenei’s office asked him to register so that he could appear in presidential debates and to make revelations against Rouhani. At the same time, he would portray Raisi as a non-partisan actor. Qalibaf should opt out in favor of Raisi. Qalibaf is registered as an opponent to Rouhani so Jahangiri registered as a candidate to support Rouhani. Khamenei has staged this to make it appear as if there are real competition in the election. He wants a large voter turnout in order to fool the international community into believing that the regime enjoys popular legitimacy. Khamenei also invites foreign reporters to specific polling stations where the regime's supporters and agents line up to make it look like all Iranians are voting. The regime is also preventing the reporters from browsing other polling stations. Domestic reporters will face threats and intimidation while covering other stations. The IRGC has created fake identification cards and is also using the ID cards of deceased people to vote. Another trick the regime are using is that of increasing the votes for each candidate four or five fold to show a higher voter turnout. The truth of this election is that there will be no change no matter which candidate becomes president. All candidates are in fact approved by Khamenei and no one of them will become president if Khamenei disapproves. The biggest fear for Khamenei is to experience an uprising like the one in 2009. This was a big scare for the regime and it showed the regime that they are not as popular as they think. People show their discontent with the regime in different protests around Iran. The news about the decision of the federal government denial of Iranian polling stations in Canada is good news if you see it from the Iranian people’s point of view. According to the Iranian Canadian Congress (ICC), they believe that the decision will not damper the efforts to renew diplomatic relations between Canada and Iran. Our hope is that the Canadian government votes in favor of Bill S-219 and that they think of the welfare of the Iranian people before profit. It is of utmost importance that the regime does not get any diplomatic relations with other countries before they respect and uphold the human rights bill. 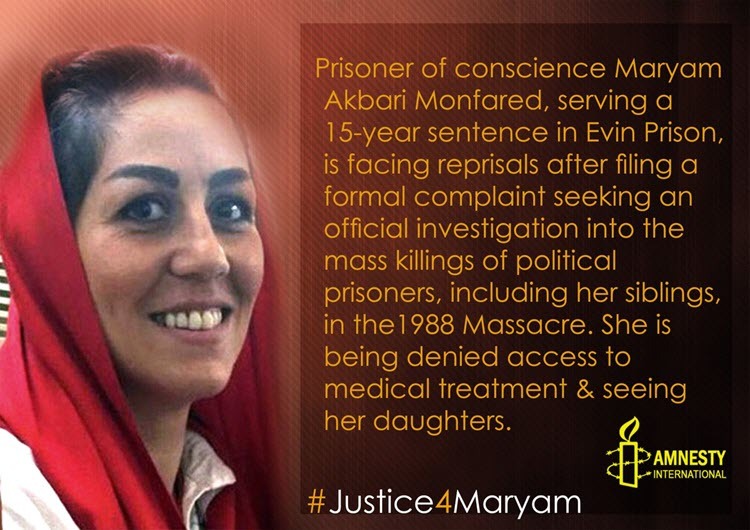 There are human rights violations in Iran daily and the violations are of grave character. 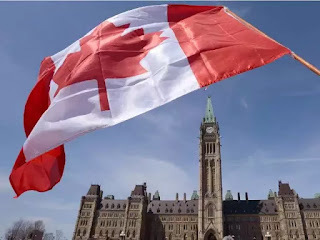 The only hope to save the innocent people of Iran is that the Canadian Senators understand the deceiving mullahs lobbying and that they are setting demands on Iran to uphold human rights before they do any kind of business with them. The ICC does not think that the American president’s approach towards Iran will have any influence on the Canadian approach to Iran, but we hope that the Canadian government does not give the Iranian regime any slack when it comes to demands related to Human Rights. 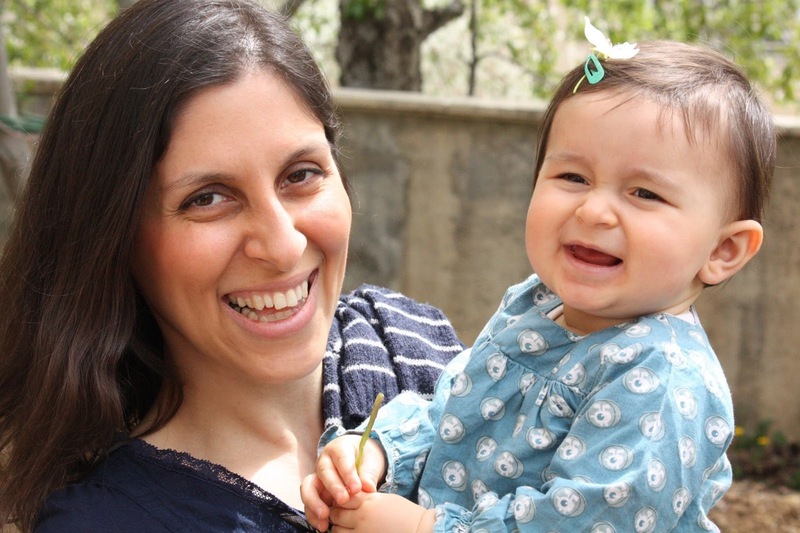 If we look at Iran at present day the regime denies to break any human rights but we have evidence that they are in fact violating human rights by imprisoning political opponents, they imprison journalists or get them flogged. The list of daily violations are long and bloody, the worst violations are that of juvenile executions. Children at the age of 15 for boys and 9 for girls can be sentenced to death in Iran. all this must be in the back of your head when you are considering to reestablish diplomatic relations with Iran. 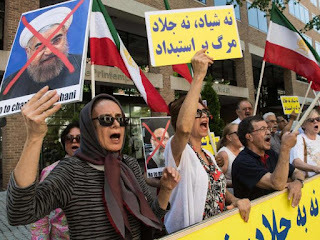 if the Canadian government is renewing their diplomatic relations with the Iranian regime they are indirectly approving the regime’s human rights violations and that will be a black stain on the Canadian government. We, therefore, urge the Canadian government to be cautious when they are dealing with the Iranian clerics and are willing to halt the negotiations until the evidence of human rights violations is looked upon and estimated. To all Canadians I send a plea, please urge your Senate members to vote in favor of Bill S-219. By doing that you will save a lot of Iranian lives. Iran holds the grim record of executions of juveniles. 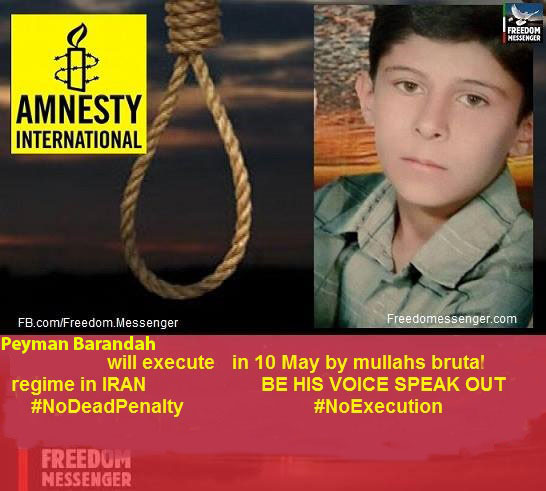 Peyman Barandah is at imminent risk of execution on 10 May in Shiraz’s Adel Abad prison, Fars Province, Iran. He was 15 years old at the time of his arrest and was sentenced to death after a grossly unfair trial. 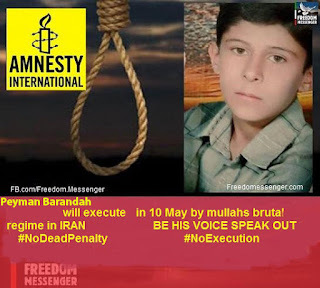 On 2 May, the Prosecutor of Shiraz met with Peyman Barandah’s family and told them that if the cheque of 5.5 billion rials (US$169,500) representing blood money (diyah) they gave to the family of the teenager he was convicted of murdering does not clear at the bank on its due date of 7 May, then Peyman Barandeh’s execution will be carried out on 10 May as planned.This is just one of the urgent cases of juvenile executions awaiting. First of all, he was a child when the crime occurred, he has not been tried in a juvenile court but in adult court. On May 3 the Syrian opposition delegation walked out of the peace talks in Astana citing that they do not recognize Iran as a participant in any peace talks regarding Syria, the delegate said before walking out that Iran is murderers and had no place in these talks. I agree with them, if you take a look at the situation on the ground in Syria there are more IRGC fighters present then Syrian Army fighters and they are escalating the conflict, not trying to solve it. The PMOI say in their article about the memorandum that the Syrian armed opposition rejected the Russian plan to create safe zones in Syria, calling it a threat to the country’s territorial integrity, and said it would also not recognize Iran as a guarantor of any cease-fire plan. On may 5th the Russian, Turkish and Iranian delegates announced an agreement to reduce the violence in certain areas of Syria. 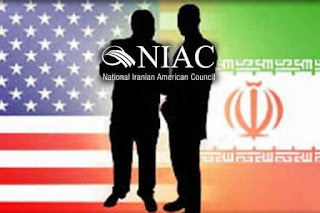 In the statement from the U.S Departement of State, they expressed concern about the agreement and the involvement of Iran as a so-called Guarantor. Iran’s activities in Syria have only contributed to the violence, not stopped it, and Iran’s unquestioning support for the Assad regime has perpetuated the misery of ordinary Syrians. The skeptics of this memorandum are concerned about Iran’s part in this plan, Iran and IRGC are known to escalate the conflicts on the ground, not prevent them, therefore, the outside world does not think of Iran as the best choice as a guarantor in creating de-escalating violence zones. The US is also skeptic about Iran’s role in this plan as we have all been witnesses to the genocide in Aleppo performed by the IRGC and of course the abduction of 900 Syrian boys and men as the citizens were forcibly evacuated from Aleppo. No one knows exactly what happened to the abductees. The IRGC was also present at Shayrat airbase that was used to bomb Khan Sheikhoun city with sarin gas. The war crimes committed by the IRGC towards Syrian civilians makes it difficult for the opposition to trust Iran as a guarantor. This is is understandable seen from the opposition's point of view, from their standing point Iran can not be trusted and that will make it very difficult to obtain the cease-fire zones. They have all to often seen the war crimes committed by IRGC and also by Assad troops, but if Russia can keep IRGC under control there is a slight chance that the Syrian civilians will get a better daily life. But that remains to be seen, the success of this plan rests with how firm the Russian bear are towards IRGC. A few days ago was the international media day, in the west, this is merely a day where we appreciate how far we have come in our human rights work. Not all parts of the world are as Lucky as us. In Iran, it is dangerous, to tell the truth, if you disagree with the ruling mullahs terror regime. We read and see pictures in social media all too often about journalists that are flogged, imprisoned or tortured to death for disagreeing with the regime. One of the most known deaths is that of blogger Sattar Beheshti. Sattar Beheshti was born in 1977 and lived in Robat Karim, 27 km southwest of Tehran. Opposition websites report that he had been detained in 1999 after student protests at Tehran University. His website "My Life for My Iran" at magalh91.blogspot.de was not a major blog, and had fewer than 30 viewers in October. Even if he was not a major blogger, Beheshti's death "has provoked outrage among both opponents and supporters of Iran’s leaders". On October 22, 2012, Beheshti posted a criticism of the Islamic Republic on his blog addressed to the Supreme leader. Beheshti stated that the judicial system of the Islamic Republic was "nothing but a slaughterhouse," and that "the sentences and ... the executions carried out ... were not out of a desire for justice – but were aimed at terrorizing the people! So that no one will complain!. In a blog post a day before his arrest, Beheshti wrote: "They threatened me yesterday and said, 'Your mother will soon wear black because you don't shut your big mouth'. His death in detention made the world aware of the abuse that is taking place against independent journalists in Iran. more recently we became aware of these two journalists: In January 2017 we could read this in the news: Local reports said that Iranian journalists Mustafa Barari and Arash Shoaa, from Gilan Noveen and Gilan No news websites, have received flogging sentences and a fine by the Revolutionary Court in Rasht city, north of Iran, following the complaint of one member of the Iranian Parliament over their publications. The journalists, who were charged with spreading lies and publication without a license, now face 114 and 40 floggings as well as 1 million Rial (almost 30,000 Euro) fine for the charge of insult. They have appealed the sentences and both websites are still controlled by the authorities, media added. I am sorry to say that this is just the tip of the iceberg, the number of journalists that are threatened to silence, or imprisoned is the highest in the world. 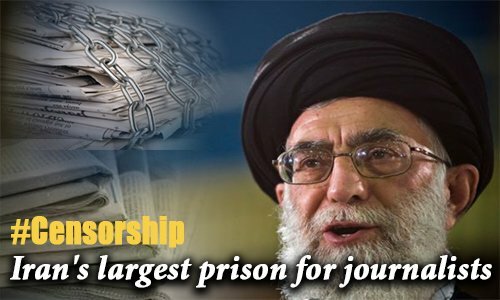 Iran is a world leader when it comes to suppression and harassment of innocent journalists. They are tortured for telling the truth and how many that have been threatened to remain silent we can only guess. But I believe the number is thousand’s. An Iranian cybercrime surveillance programme entitled Operation Spider 2, which tracks and cracks down on social media users, has so far resulted in the arrest and imprisonment of several Internet users on charges such as insulting Islam, publishing immoral and corrupt material and encouraging individuals to commit immoral acts. The Telegram messaging application has got its voice app blocked because of the regimes fear over an uprising like the one in 2009. Facebook and Twitter continued to be entirely blocked for domestic users, and the authorities arbitrarily ban content under the justification of protecting families and Islamic culture. The list of human rights abuse against journalists are long and it is getting longer. This is because the journalists refuse to be silent, and the regime are afraid of a new uprising like the one in 2009. To prevent the event they are prohibiting any media that can be used to gather protesters. The human rights violations in Iran are of grave character as we can read heartbreaking stories of innocent civilian citizens that are being imprisoned from 5 to18 years on bogus charges. I will tell you some of their stories. Robin (Reza) Shahini: On October 15, 2016, Shahini was sentenced to18 years in prison for acting against national security, participating in protest gatherings in 2009, collaborating with Voice ofAmerica (VOA) television and insulting the sacred on Facebook by the Revolutionary Court in Gorgan.